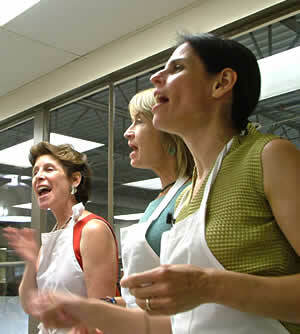 The Beat Divas have always been passionate about food and cooking. We spend the better part of our rehearsals talking about food, so you could say it was an organic process that led us to cooking classes. 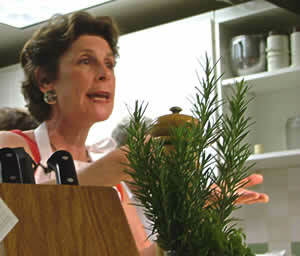 When “Music on the Menu” was first introduced at Central Market Cooking School in Austin, TX, the Beat Divas were invited to present a class. One class led to another, and we’ve been giving cooking classes there since 2004. We usually offer three or four classes a year, roughly one per season. 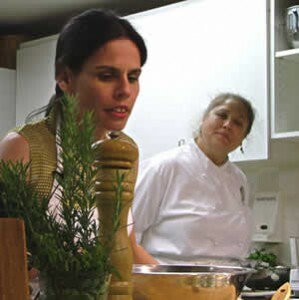 We also present cooking classes at Central Market Cooking School in San Antonio, and at the award-winning Lake Austin Spa. Beth really gets into Caramelized Chicken Salad. Dianne checks her Spanikopita. That’s Chef Cindy Haenel looking on. Mady gives some instruction on the finer points of Southwestern Grilled Shrimp Salad. They fixed a great meal and then they sang while still wearing their aprons. Tasty tunes! I attended Central Market’s Cooking School class tonight with my best friend. This evening was my present to her for her birthday. And it was a great hit with her. Thank you for your wonderful voices, charming stories and great foods. You made a birthday celebration special! I just wanted to thank the Divas again for a wonderful evening at Central Market Cooking School and for the special Happy Birthday for my friend. I will be looking forward to your next CD. I enjoy mine all the time. Last Thursday we had so much fun watching you all cook and listening to you sing. We learned great cooking tips and will definitely try the recipes. My daughter had never heard the Divas sing before. She enjoyed you all and wants to hear you again (live). My husband also enjoys your live music. Please keep us posted where you will be singing. As usual, your class was FUN! Thanks to all of you for a great evening! Saturday’s cooking class was a blast! Thanks for all the fun and good ideas. Keep it up! Hope to see you all soon. 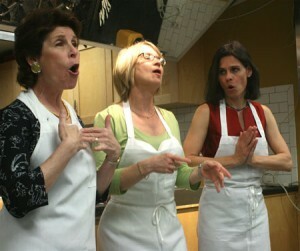 Divas sing for their supper. Marla Camp photo. 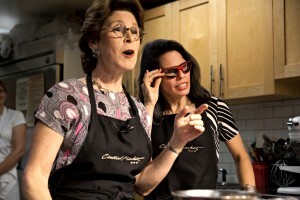 Dianne Donovan sporting onion goggles! Photo:Kathy Whittaker. The Beat Divas: The Official Site | Mantra Theme designed by Cryout Creations | Powered by WordPress.